Ask these questions before you start WWOOFing. New to WWOOFing?! You’re going to love it! 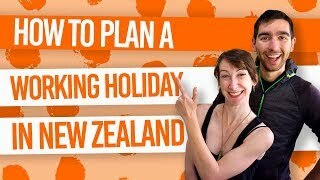 Working for accommodation and food is a great way to immerse yourself in the Kiwi culture, refresh from backpacking, and save some money. In case you don’t know, WWOOF stands for “World Wide Opportunities on Organic Farms”, with the official website in New Zealand being wwoof.nz. While WWOOFing used to be all about working on organic farms, the network is expanding to a wider range of farm types and even work that doesn’t involve being on a farm at all. 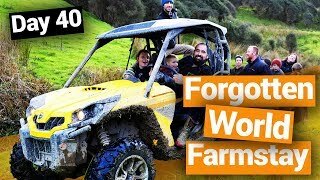 That’s why the term “Wwoof” in New Zealand is now more commonly used to simply mean “work for accommodation”. For that reason, there are not many set standards and experiences you should expect from WWOOFing, so make sure you ask plenty of questions before accepting a WWOOFing host’s offer. For more information on WWOOFing, check out Everything You Need to Know About WWOOFing in New Zealand. 1. What type of work will I be doing? The type of work you are expected to do should be clear on the listing. If it’s not, however, make sure you find out. Just because a host lives on a farm, doesn’t mean that they want help with farm chores. They could want help cleaning the house, looking after the children or anything! Make sure you ask to avoid disappointment. 2. Do I need to provide my own food? It’s expected when using the WWOOF NZ website that accommodation AND food will be provided in exchange for your work. However, you will find the odd host that doesn’t provide food or only provides one meal a day. Especially on other websites like HelpX and Workaway, providing food is not as common. If you really want to save money while WWOOFing or if your WWOOFing in an isolated location, then food is pretty much essential. But, if you are living close to supermarkets and are only working a couple of hours a day, then it’s easy enough to sort your own food out. Learn more about supermarkets in New Zealand here. 3. Does your farm follow organic principles? With more and more farms offering WWOOFing opportunities, WWOOF NZ no longer follows the standard organic farm hosts. If you have joined WWOOF NZ with the hope to work on an organic farm, then make sure you ask whether the farm is organic first. 4. Are your meals vegetarian? If you have any dietary requirements, you need to let your hosts know! You will usually be eating what the hosts would usually eat, which is pretty awesome! Some hosts might have a problem with preparing meals for vegetarians, vegans or any other dietary requirements so avoid the disaster by asking first. There are a lot of great hosts out there who would be happy to make different food! 5. What are my work hours? This is important for two reasons: are the rewards you are getting in exchange for your work hours worth your time? And is your exchange actually legal? WWOOFing hosts can ask for volunteers to work anywhere between 2 to 4 hours a day, 5 days a week. However, the rewards need to be fair. For instance, rewards such as food and accommodation should be no lower than the equivalent of minimum wage in New Zealand. The minimum wage in New Zealand is NZ$17.70 per hour. 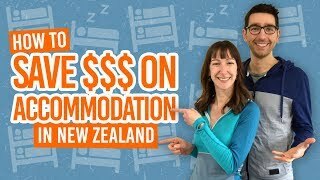 So for example, if you work for accommodation for two hours per day at a minimum wage of NZ$17.70, your reward must be of a minimum value of NZ$35.40. See your WWOOFing rights at Working For Accommodation and Food in New Zealand: What Are Your Rights? Traditionally, a contract for doing work for accommodation and/or food was not common practice. In recent years, however, it has become a legal requirement for WWOOFers and WWOOFing hosts to have a contract. Not only is this a good idea to show that the agreement is a fair working agreement, but it makes sure that both parties have the same understanding. See this guide to get more information on what a WWOOFing contract should include. 7. Do I need to bring a sleeping bag? Ask about the sleeping arrangements. While some hosts will provide bedding and your own private room, others may bunk you up with other WWOOFers. You might even need to bring your own sleeping bag. 8. Do you have other WWOOFers? This might be important to you depending on what experience you are looking for. WWOOFing with other WWOOFers is a great way to make friends and find travel buddies. The downside is that it might mean less time spent with your WWOOFing hosts, so you don’t get that “family” experience. 9. How long do you need help for? WWOOFers can stay with hosts from anywhere between three days to three months! It depends on what your arrangement is. Staying with a host for at least a week is the usual duration of stay to start with. This is a good amount of time to see how things go. Then, if both you and your host are happy with the first week and agreement, then you can make further arrangements from there. Remember, communicate with your host throughout your stay to make sure you are not outstaying your welcome.